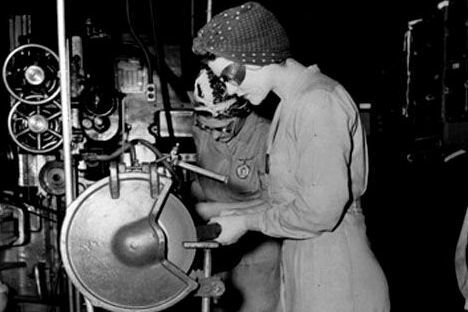 One of the original "Rosie the Riveter"s -- via the New York Times. 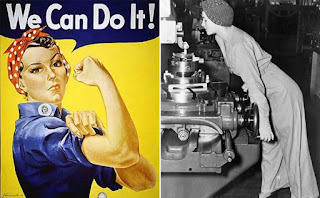 The model for the iconic 1943 poster "We Can Do It!" 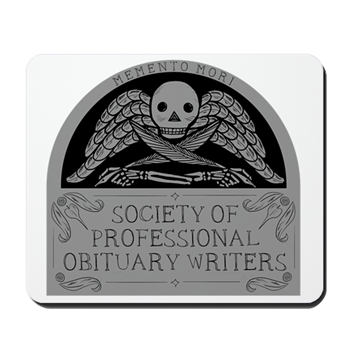 by J. Howard Miller. Two other women are also identified as sources for the mythic female American WWII worker.